Established in 1963 in Alice in the Eastern Cape, a short distance from the University College of Fort Hare, the Federal Theological Seminary of Southern Africa, popularly known as Fedsem, occupies a unique place in South African history. 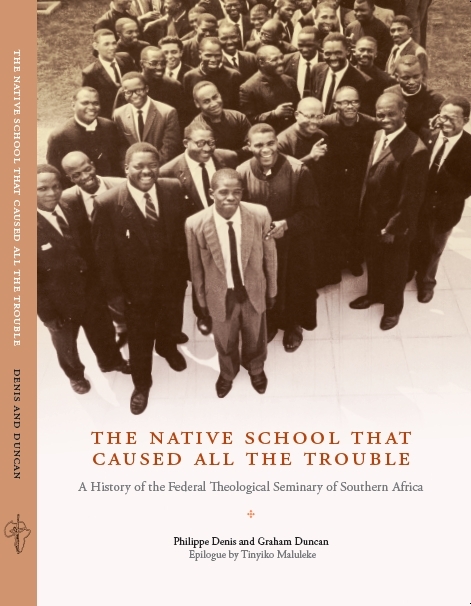 For three decades it was the main place of training for black candidates for the ministry in the Anglican Church of Southern Africa, the Methodist Church of Southern Africa, the United Congregational Church of Southern Africa and a cluster of Presbyterian churches. The majority of students were black, but the seminary also trained white, Coloured and Indian ordinands and the staff was racially mixed. Because of its multiracial character and its close links with the black consciousness movement the seminary was a thorn in the flesh of the apartheid regime which ordered its expropriation in 1974 and continued to harass its staff and students after it relocated to Umtata, Edendale and eventually Imbali in the vicinity of Pietermaritzburg. Fedsem closed its doors in 1993 as a result of financial difficulties but also because of disagreements on the manner of running a theological institution in the post-apartheid era.